That new deck feeling for a redeck price. 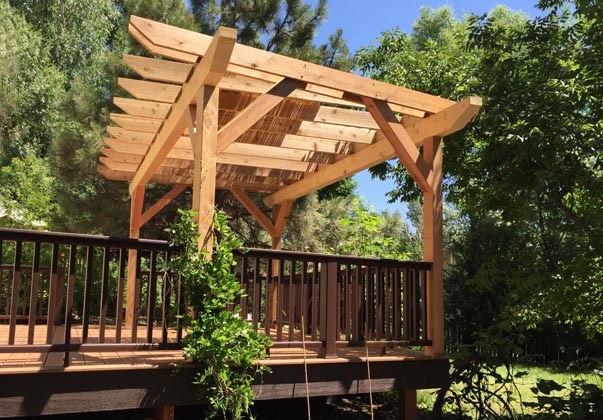 We are the premier redecking specialists for Colorado’s Boulder county and the surrounding areas. Let us rebuild your old worn out deck or design something that’s altogether new. You’ll be back outside sipping lemonades and grilling in our gorgeous Colorado weather in no time. Check out our services. You can choose a long lasting and attractive composite material, or go natural with a wood product. See our decking options for our recommendations and a variety of beautiful choices. Our “Better Than New” treatment is included with every deck installation from All-Pro. You’ll be getting the same expert craftsmanship and great value that we’ve provided locally since 1998. See our testimonials. Get a free deck safety inspection or a free estimate on a new deck or rebuild. Contact us today!